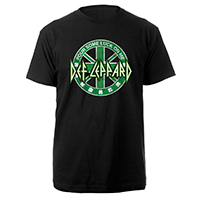 Pour Some Luck On Me Tee Celebrate St. Patrick's Day in style! This tee features the all new Pour Some Luck On Me design. Black 100% cotton. 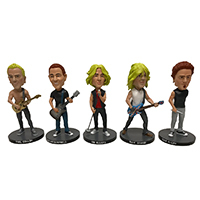 Caricature Bobble Head Set For this one of a kind collectible, each band member has had a bobble head done in their likeness. The set of five comes packaged in a collectible box. Each figure measures 7" tall.